All in all, living at Lofts has been a good space for my last two years in college. The location is wonderful and the maintenance staff is truly incredible and always so kind. However, the noise from other residents is often an issue... but that’s probably the biggest downfall. Overall, it’s not a bad place to live. Lofts has been such a great place for me to live the last 2 years. Everyone is so friendly and I love the amenities they offer. The free sonic drink happy hour runs are definitely one of my favorites! I have truly enjoyed my stay at Lofts Nacogdoches. The complex overall has an inviting fill to it. I'm going to miss this place when I graduate. 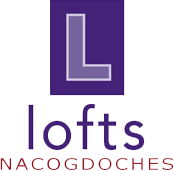 Lofts Nacogdoches is a great community. They always work with you to figure out problems and they make living here fun. They make it all about the people. I toured a lot of apartments and The Lofts were by far the nicest. The staff was very friendly and helpful with everything. I like that it is a pet friendly complex. Overall, the amenities are great and the apartments are fairly nice. It can get really noisy being right next to the train track but eventually you get used to the sound. The staff is friendly and helpful and I like how they always seem to be working on trying to improve things. Great place to live. I’ve been living here for a couple of years now, and i know I made the right choice. Close to campus and everything in Nacogdoches. It's great living at Lofts. The staff and amenities are great. The location is great except for the uphill walk to get to campus. I would only recommend that they try to loosen one of the doors leaving the lobby, have to put in some extra effort to open the door. This one if the best apartment. I definitely recommend this to any incoming students to SFA that is a sophomore and is looking for an apartment. Can't wait to move in and the people who work at lofts have helped with everything so far. The view and the room i will have very soon is amazing and i am very excited. I loved living at Lofts. It is amazing and would not be anywhere else. Thanks so much to the staff for being so helpful all the time. It's great. Really great apartment, just needs better water pressure! The kitchen is great and room has a lot of space. Really big closet & a great size bathroom. It has been so great staying here! The staff has been super helpful Everytime I've had any issues and the programs have been so fun. O have recommended these apartments to all my friends! Lofts is very updated and very nice student housing! It’s also very close to campus which is a plus! I already renewed for next year, I’m super happy here! Probably one of the nicer apartment communities in Nacogdoches. It gets a little loud here on the weekends but other than that, it's pretty nice. I have enjoyed living at Lofts. Everything is kept very clean and tidy in all the different amenities offered to the residents. Have had trouble getting some maintenance done in my apartment in a timely manner, but other than that the experience has been a good one. Super friendly staff. Anytime i have a maintenance request, it gets completed within a day. The staff is always willing to help and make sure the residents are comfortable and satisfied. The staff working at the front desk is always very welcoming. I think it is nice that they take the time to learn our names as well. Overall my experience at Lofts the semester I have lived here has been great! I have told my friends to check it out and possibly live here. Everyone employed here is very friendly and welcoming, but there are many instances where those who have pets will not pick up after them and that has become a big nuisance. Living here is fabulous. I love how quickly maintenance addresses our work orders. I love the amenities and how helpful the staff as well. This place rocks!! Living at Lofts has been great but here lately I’ve been having issues with roommates. I don’t mind having roommates but they have shown to be very inconsiderate of others. Apartment is great! Maintainance is a little slow on getting to certain requests but other than that it’s a good place to live. Also the stairwell on the right back side smells like dog urine all the time. So if that could be fixed that would be great!